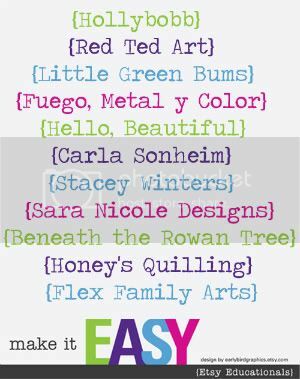 Make It Easy is a series of 11 crafting tutorials hosted by talented, artistic and enthusiastic women. 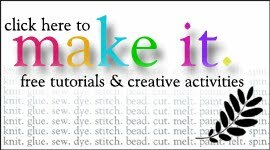 You will be shown how to create 11 unique and beautiful items ~ there will be one tutorial every day for the next 11 days ~ and we really hope you will find some inspiration to get your craft on! 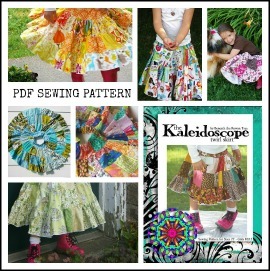 At the end of the series we will have a wonderful ebook available for a small fee of $1.99. 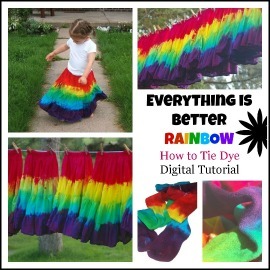 All the tutorials will be in this one convenient download that you will be able to print off and read over and over (before you get started on making). 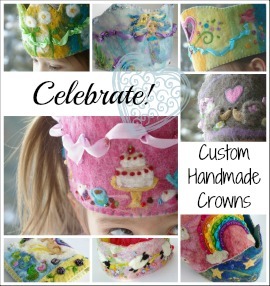 The money will go to the person whose blog you download it from and by doing so, you will be showing your support for the hard of this crafting community. Thank you! Tidy Up Gnomes are fun little guys and gals made for keeping your child's boots (or mittens) together and reducing clutter. 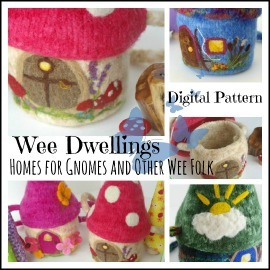 (Now if only I could hire some laundry gnomes!). My daughter insists that they *are* related to the Underpants Gnomes, which I can neither confirm nor deny. All I will say is that they make tidying up FUN! 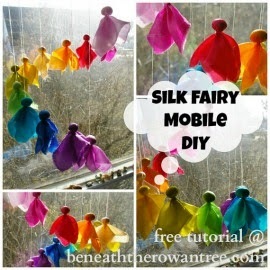 Suitable for children age 3+ with help for the needle and hot glue-y bits! scraps of fabric, felt, old sweaters etc. 1) Once you have gathered your materials, use your beeswax polish to seal the pegs. This is optional. You can see a sealed vs. natural peg (right side) below. 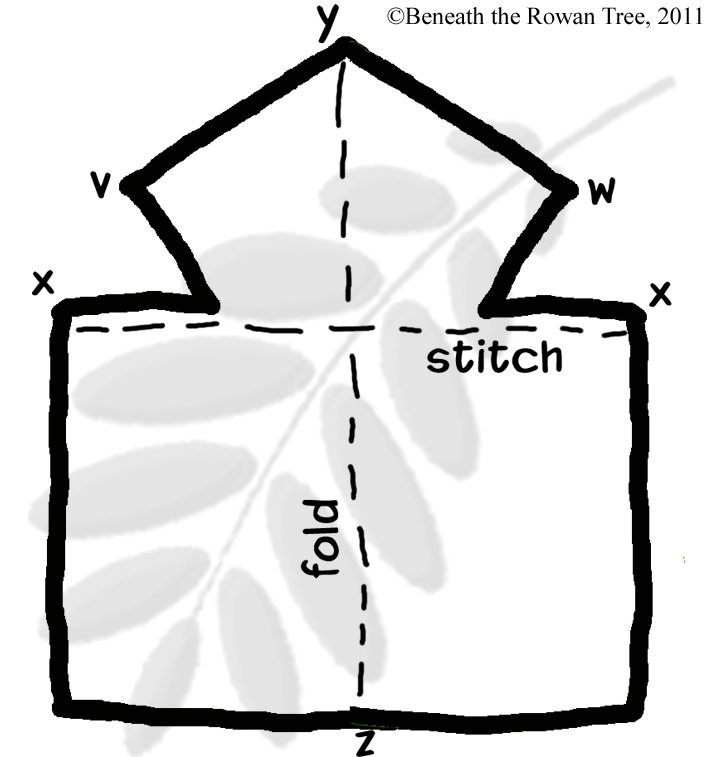 2) Print out and cut out the cloak template. 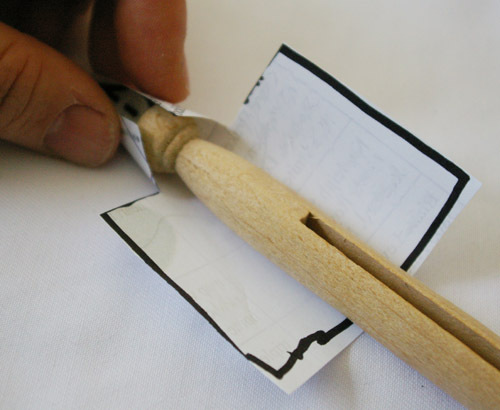 Measure the template against your clothespin. 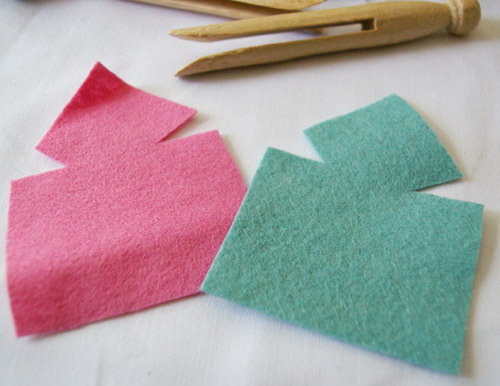 As they vary in size, you may need to trim the template. 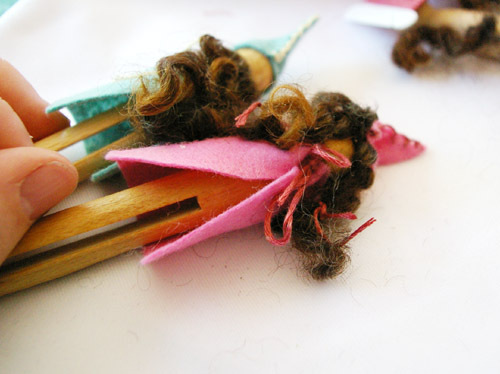 The hood portion (v & w) should meet easily around the 'head' of the peg as pictured below. 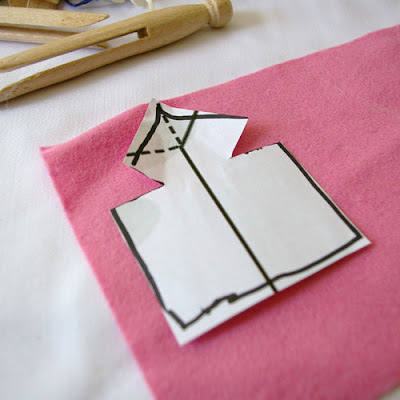 3) Once your template is sized to your pegs, cut out your fabric. 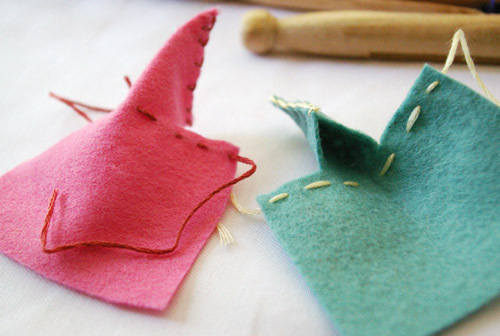 Any fabric will work, although the thickness of wool felt (or felted wool cut from recycled sweaters etc.) 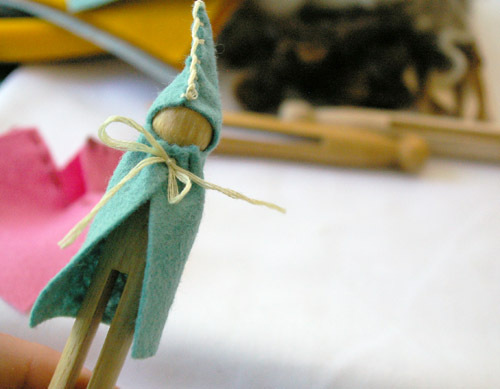 provides a more attractive cloak (and I am not a huge fan of acrylic felt... but anything will work!) that will last through more handling. 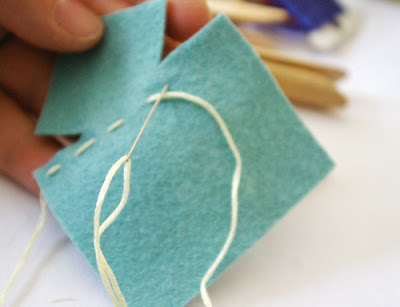 4) Thread your needle with 3-6 strands of embroidery floss. 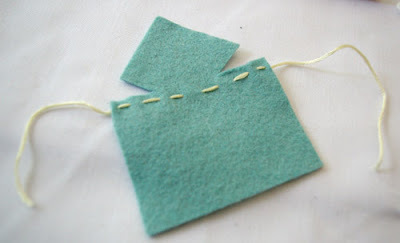 Make a running stitch from x to x, leaving a 2-3" tail on either end. Do not tie off or knot, you will use this thread to gather the cloak. 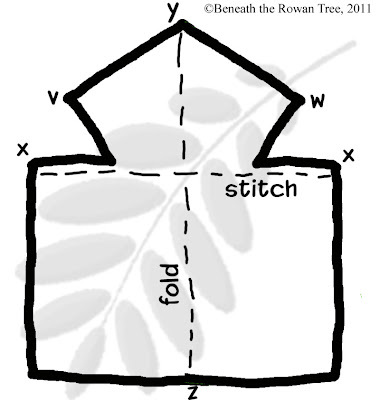 5) Fold in half along line between Y and Z., matching v & w.
Using a blanket stitch, sew a seam, creating the hood, from y to v/w. Tie off to secure the seam. 6) Test the fit of the hood on the peg. 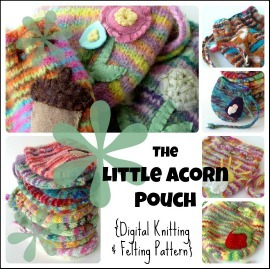 If it is much too big, remove the stitches, trim and re-stitch~ however you should be able to make it fit securely in the next steps without these drastic measures! 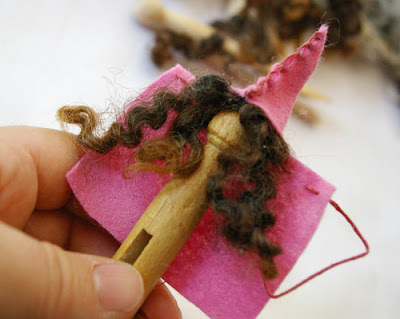 **If you are making a girl gnome you need to add her hair to her head before securing her cloak (jump to #8 and then return to #6). Add a drop of glue from the hot glue gun to the top of the peg. 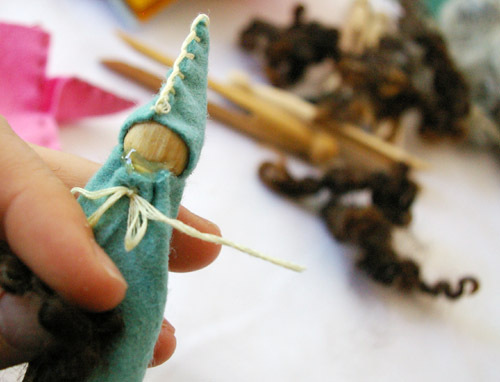 Replace the cloak, gently shaping with your fingers to the desired shape (picking up some of the glue to secure the cloak, but taking care not to press the hood out of shape into the glue... it will stay that way!). 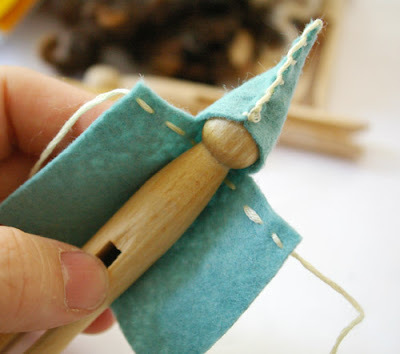 7) Pick up the thread tails at the neck of the cloak and pull them tight, creating a snug closure around the 'neck' of the wooden peg. 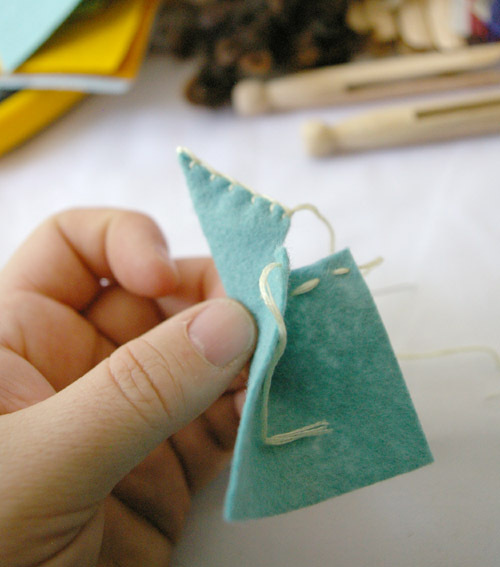 Tie off with a knot (or two) and then a bow (or trim away). 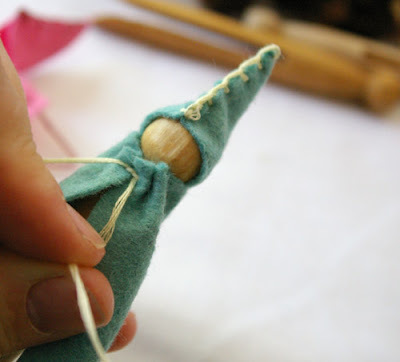 8) At this point, you can add hair or a beard to your little gnome (or leave it clean shaven!). 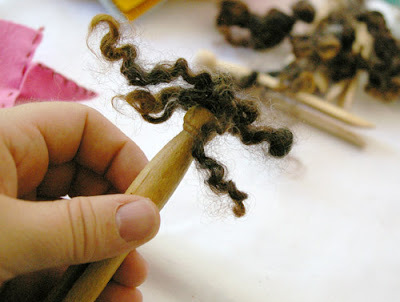 I have used curly wool locks, but yarn cut into the desired 'style' or even cotton batting will do. Use a little hot glue and secure your chosen hair-do. 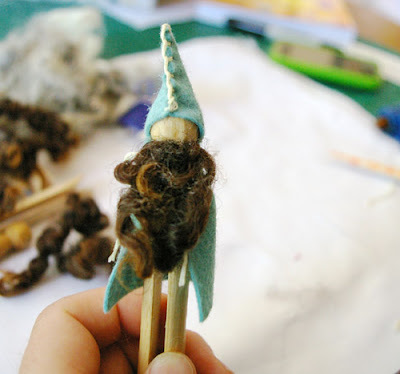 9) Tidy up your gnome~ trim the hair and any loose threads. 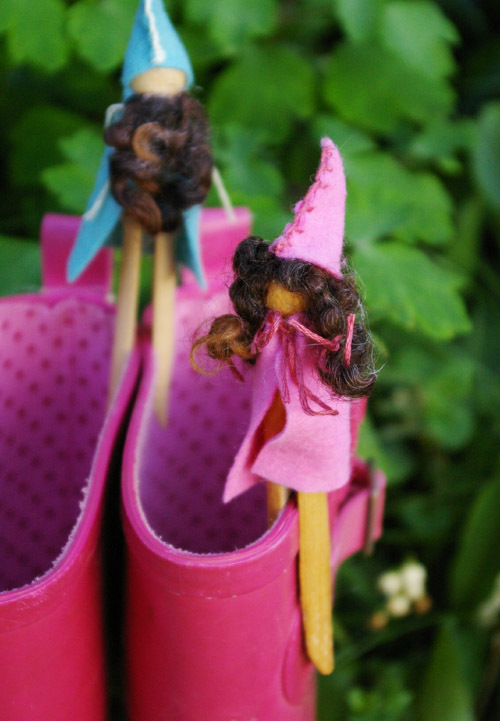 10) Put your gnome to work! All photos and text are © Lori Campbell/ Beneath the Rowan Tree, 2011. Please ask permission for use. Finished gnomes are yours to do with as you please~ credit to the author is always appreciated! A small door~ anywhere~ in a tree, on a shelf, along the baseboards of a building or bedroom... a fairy door! 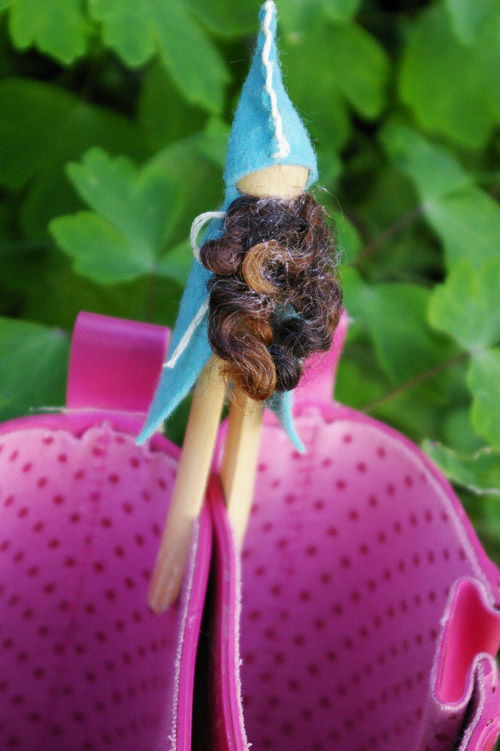 While I may not 'believe' in fairies, I believe in the wonder and whimsy (and, depending on your sources in lore, malice and babysnatching!) they represent in our cynical world ("there are more things on heaven and earth, Horatio..."). 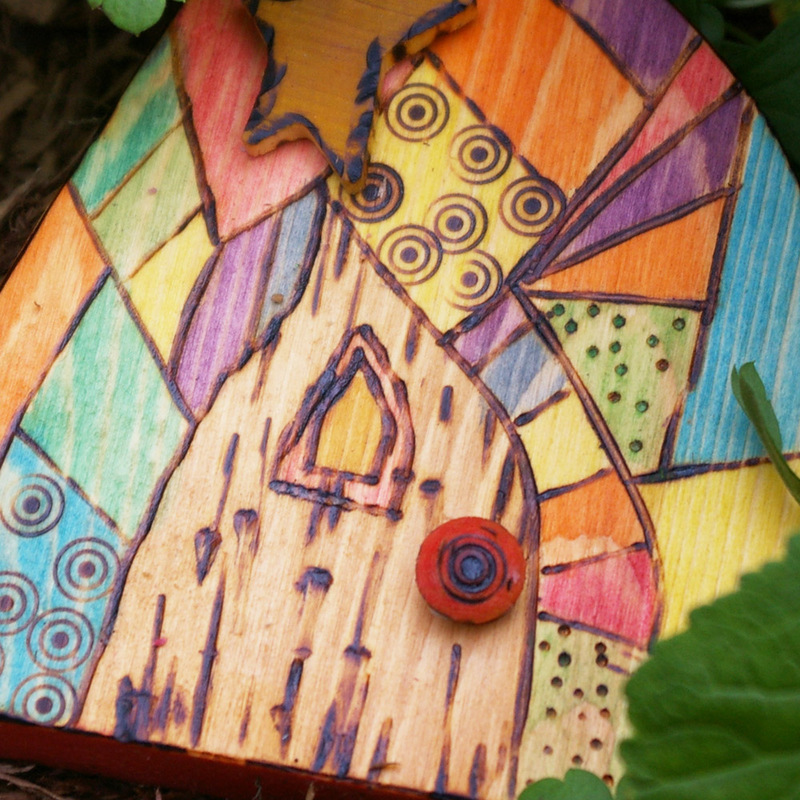 I believe that a fairy door offers a delightful opportunity to imagine, to be caught up, even if only for a moment, in the maybe and the what if. In the wonder with which we are born and all too often lose all too soon. 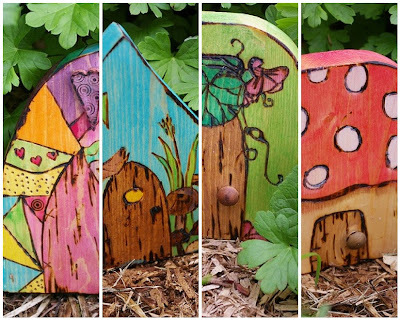 A fairy door can be placed anywhere as an invitation for the wee folk to come in to our world, or even more fantastically, for us to peek into theirs! Children, naturally, love a fairy door, and creative parents can even use it as an entry way for the Tooth Fairy. The idea of the fairy door bloomed in Ann Arbor with the Urban Fairy House Project a number of years ago. 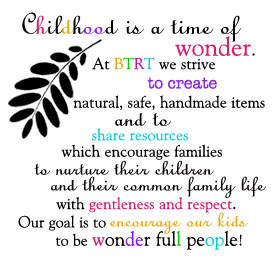 Today's Guest is Amanda Morgan, MS.
Amanda is the author at Not Just Cute ~ a blog dedicated to "intentionally and mindfully supporting the development of the WHOLE child" (♥♥!) 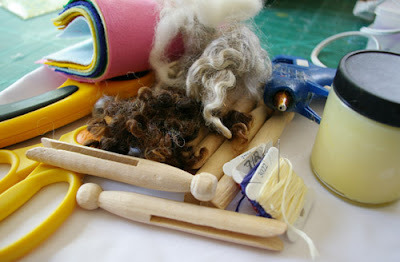 and her post today is a thoughtful and gentle consideration of the tools that we parents have~ and the ones we need to develop. 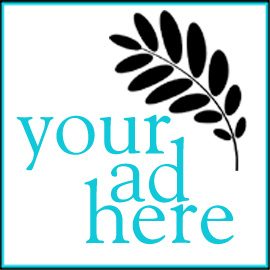 Readers are encouraged to leave their own thoughtful and gentle responses in the comment section for this post. Imagine you’re about to start a new business. You’ve built a brand new fix-it shop in town and you’re about to open your doors. You will have to be ready to handle all kinds of problems: broken windows, leaky pipes, squeaky doors….If it’s a problem- you can fix it! 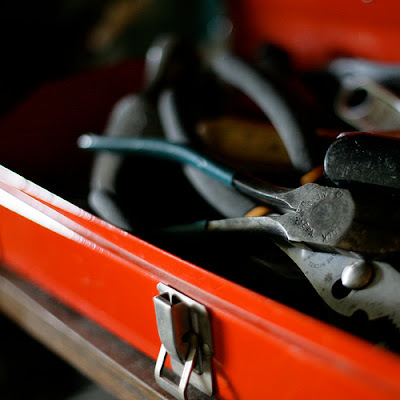 You’re about to start fielding phone calls from frantic home owners with all kinds of problems, and you need to make sure your tools are ready. So you check out your toolbox. Inside your toolbox is one, solitary hammer. It’s shiny and new, and handy in many different situations, but is it really enough to get you through every situation? My husband is a pretty handy guy to have around. He has a toolbox that is so heavy, just hefting it from its spot on the shelf to the worksite could lead to a series of chiropractic appointments. He has hammers to be sure: sledge hammers, small hammers, rubber mallets. But he also has pliers and drills and 42,ooo different types of screwdrivers. He has a zip saw and a chalk line and even a tool designed for shoeing horses. Did I mention we don’t own any horses? The point I’m trying to make is that you can’t approach every challenge with the same tool. Just as you can’t use a hammer for every household problem, you can’t approach every behavior challenge with the same technique. It’s like trying to get a screw to go in by hitting it with a hammer. So often you hear people say, “But it worked with ‘this child’ or in ‘this situation’, why doesn’t it work now?” Or you find people responding to every misbehavior with a time out. Consistent….sure. Effective…not necessarily. Just as you would need to be familiar with a variety of tools to be prepared to approach the assortment of home-repair jobs, you also need a wide selection of guidance tools at your disposal to effectively address the multiplicity of challenges that arise in child behavior. This sort of desperation is not uncommon among parents and teachers of very young children. The work can be grueling as they appear to knowingly press your buttons, over and over. They’re testing you for consistency, not because they’re bad, but because toddlers are little scientists and every experiment must be replicated! What stood out to me in this example, however, was that this parent was working with only two tools – spanking and time outs. These are probably the two most common tools for dealing with child behavior, but not necessarily the most effective. It’s like trying to run your fix-it shop with two broken hammers. Let’s talk briefly about spanking. There are two over-arching premises in opposition to spanking. One is that it can be abusive, and the other is that it is simply bad practice in terms of its effectiveness in teaching children correct behavior. I was spanked on occasion as a child, and I certainly don’t think I was abused. But I do know that some people believe they are “disciplining” their children when they resort to abusive tactics in the name of “spanking”. When does spanking become hitting? That line can often be so small it’s nearly invisible. I’m not one to say that spanking always constitutes abuse. But I will certainly say that it can. Spanking a child does nothing to teach good behavior. It doesn’t build problem-solving skills, or communication skills, or magically instill them with the ability to share. But even if you are quite certain you would never spank out of anger, never cross that line into abuse, spanking is simply not good practice. While many will argue as to whether or not the practice is damaging, there is larger agreement that the practice is generally not effective. 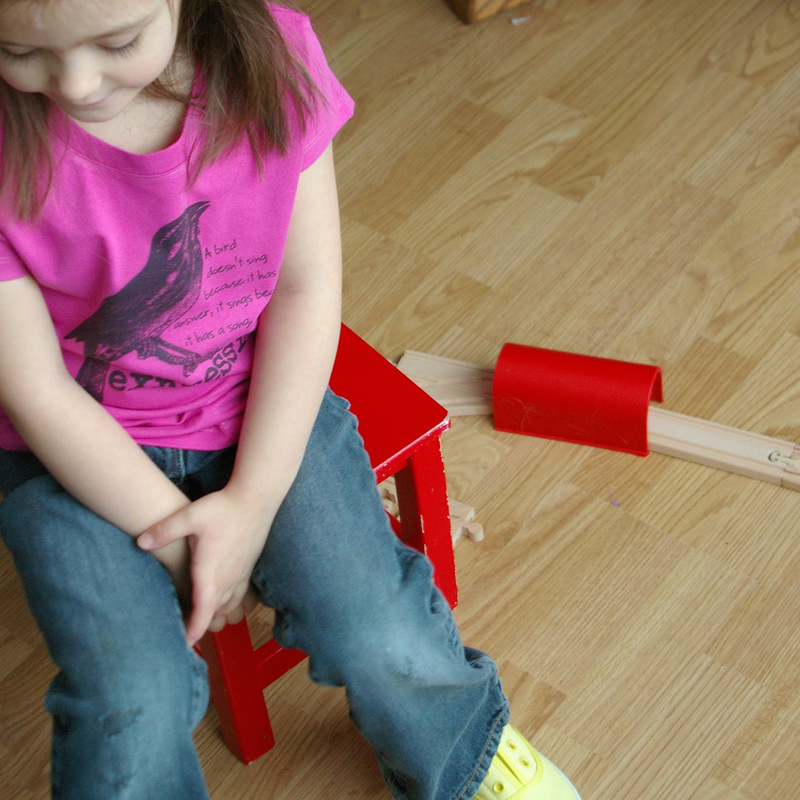 If you’re trying to teach good behavior, can that ever be accomplished by using broken tools? Many people are skeptic when they hear a parent will not spank. 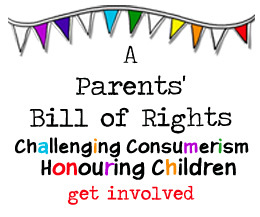 They envision a passive, laissez faire parent with an unruly child as a result. But it isn’t a lack of spanking that causes poor behavior. It is the lack of tools. Spanking is a broken tool. But it’s a tool many people cling to because it’s the only one they have. 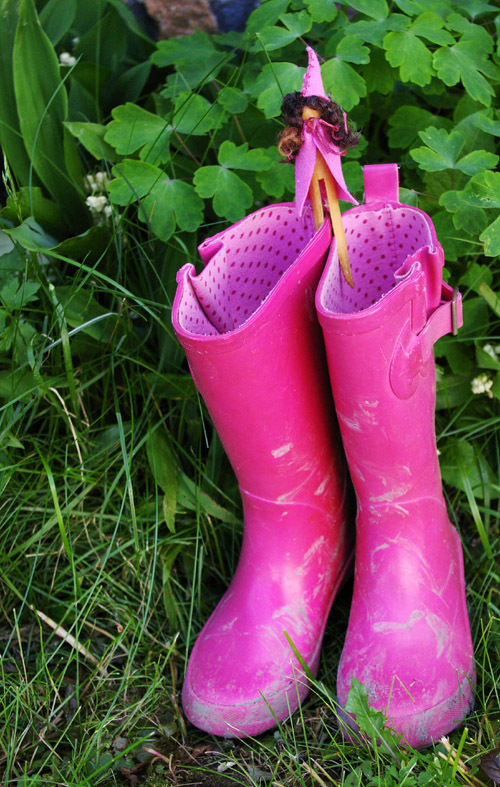 Once parents become aware of a full assortment of tools they can use as a replacement to effectively guide child behavior in a positive way, they can be more confident as they lay their broken tools aside. 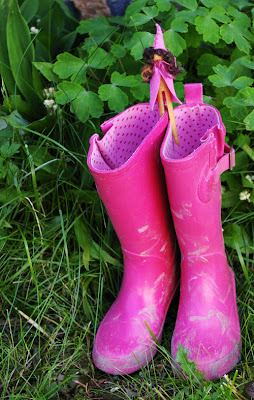 Excerpt from Parenting with Positive Guidance: Tools for Building Discipline from the Inside Out, by Amanda Morgan of the blog Not Just Cute. 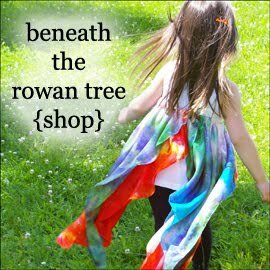 Readers of Beneath the Rowan Tree can get the ebook for only $7.50 by using the code “Rowan” at the checkout. Offer expires Friday, July 1st. Click here to get the ebook. 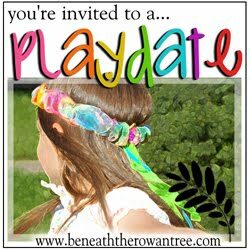 Playdate ♥ Link Party/ Blog Hop (#14) ~ All Welcome! lots of play and learning to "share and be a friend". 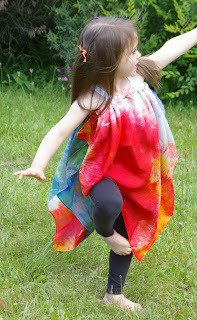 Thanks to everyone who linked up last week~ so many wonderful summery ideas! 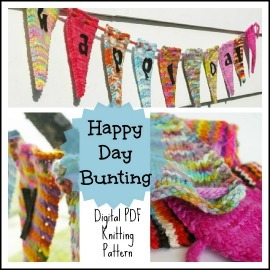 Fabulous activities, recipes, games and more! We all know that raising children means marking and passing milestones along the way. The first smile, the first full night's sleep, the first step. 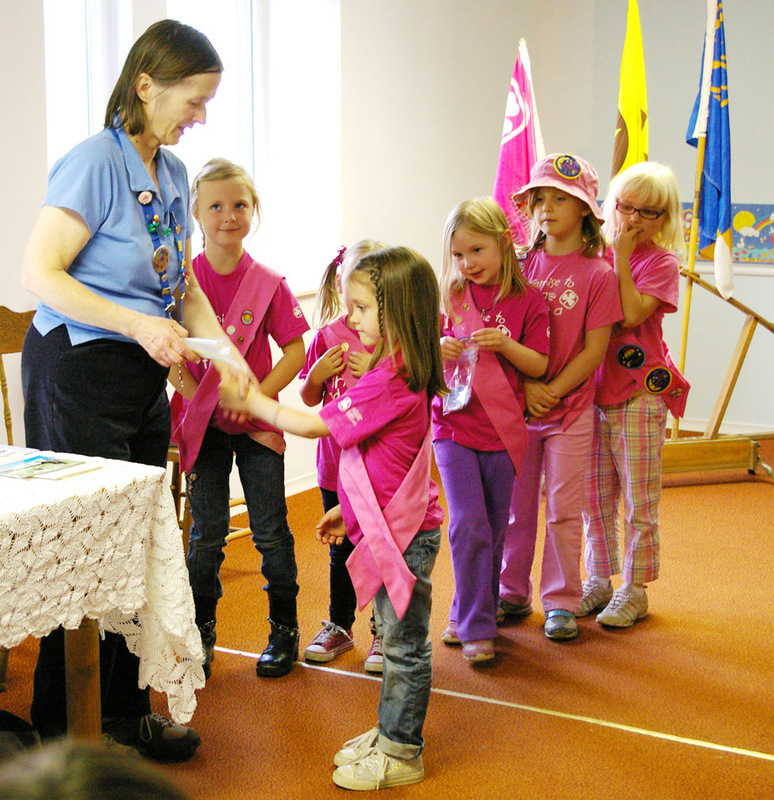 Those events and achievements in development which are common across most children in a given culture. And then there are the milestones we didn't know were milestones... that is, we didn't expect them to be momentous or to mark some sea change in our child or our relationship with them. Some we didn't even know to expect! This past week saw another milestone reached in our family. One of the second kind. The Now We Have to Speak in Pig Latin Milestone. The one where your child can spell well enough (or guess well enough when combining spelling and context!) that you can't spell things you don't want her to know about in her presence any more. No more P-A-R-K or I-C-E C-R-E-A-M.
To be fair, Rowan has known for quite a while that if we were spelling something in front of her, it concerned her and she should pay extra special attention to any and all clues. But now, at almost 6, spelling is utterly out of the questions when discretion is required. I am partial to signing but when I try to sign something discreetly to my husband he always says 'What? What are you doing?' loudly enough and with enough suspicion that my daughter knows something is up. (This is why I hate playing Pictionary on his team!). And don't even get me started on my 'clever' attempts at word play. So I have fallen back on my mother's go-to. Which I suppose is a milestone of my own? Except my husband's Pig Latin is sort of like my French~ he can understand a little and speak even less. And my daughter has the language facilty of the young and seems to be picking it up swiftly. Perhaps we need to put him through some sort of Pig Latin immersion program? Because when this peters out, I am moving on to Esperanto! 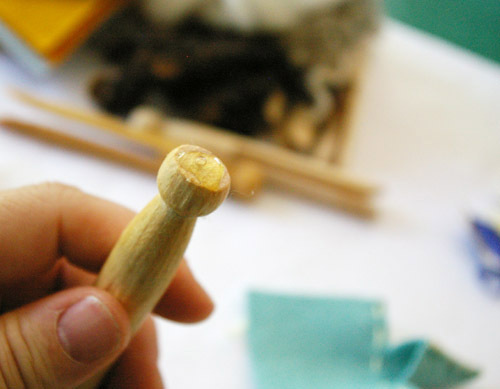 Waldorf education emphasizes the importance of rhythm in the life of young children~ it regulates them and helps them to create meaning. To aid in this process, each day of the week is assigned a colour, and the colour for Saturday is blue. 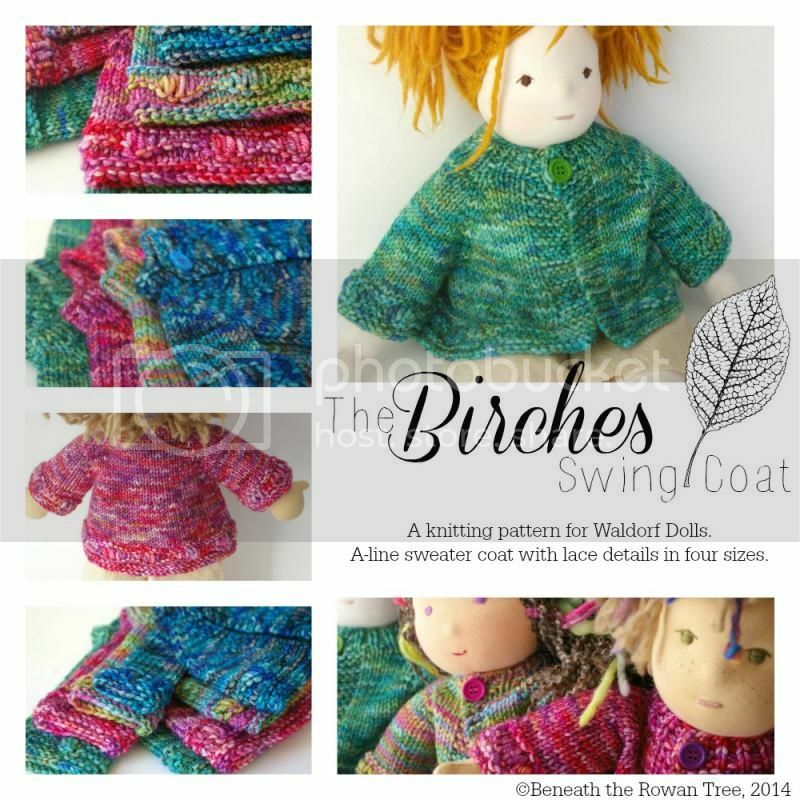 Be sure to check out our other Waldorf weekday features (see the topic list on the lower right column) for lots of ideas to incorporate colour and rhythm into your days. This collection features some wonderful blue creatures in a variety of natural materials.... from all around the world! And I must say, lest you think finding a great collection of natural toys is easy... it isn't! Weeding out the polyfil stuffing, the plastic bits, the acrylic felt... is actually a tough job, whew! 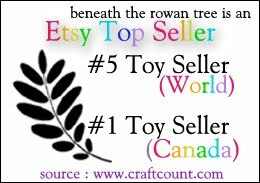 Another reason to start your search with Etsy's Natural Kids team! OK, you caught me. 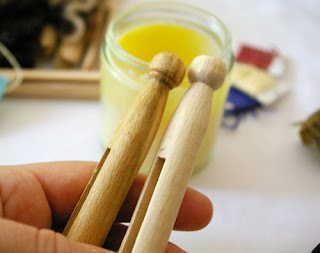 I don't really have almost 7 000 reasons, or at least not that I have blogged about! I just had a note from a mom who is new to open-ended and natural toys, and she was delighted to find out how much imagination was blooming in her children as they played with their playsilks together. It is one of those things that you can't tell people, they just have to see it happen~ to experience it in a child they know and love. 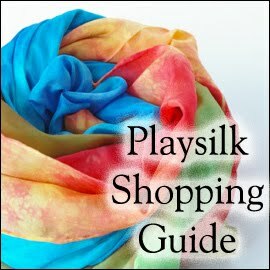 'Cause playsilks are just something that most grownups don't 'get'. But give one to a child... and magic happens. Having spent the day cleaning out closets and toys and books, I was once again impressed with the value of our natural toys (some mama made, many purchased from other artisans). As my daughter turns 5 and heads to school full time this fall, it seemed appropriate to clean up and out many of the beloved-but-outgrown toys and the board books (Snuggle Puppy gets to stay on the shelf, however, as she'll never be too big for that one!) no longer suited to a blossoming reader. It is amazing how many little things sneak into the toys (and how many little toys sneak out~ I found marbles every where!) that were ripe for passing on to the church rummage sale! 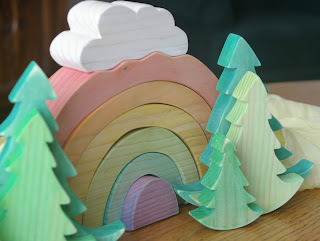 But as I have, year after year, I find myself simply tidying up and replacing in their places the wooden tree blocks, the stacking arches, the felted gnomes and bendy fairies. 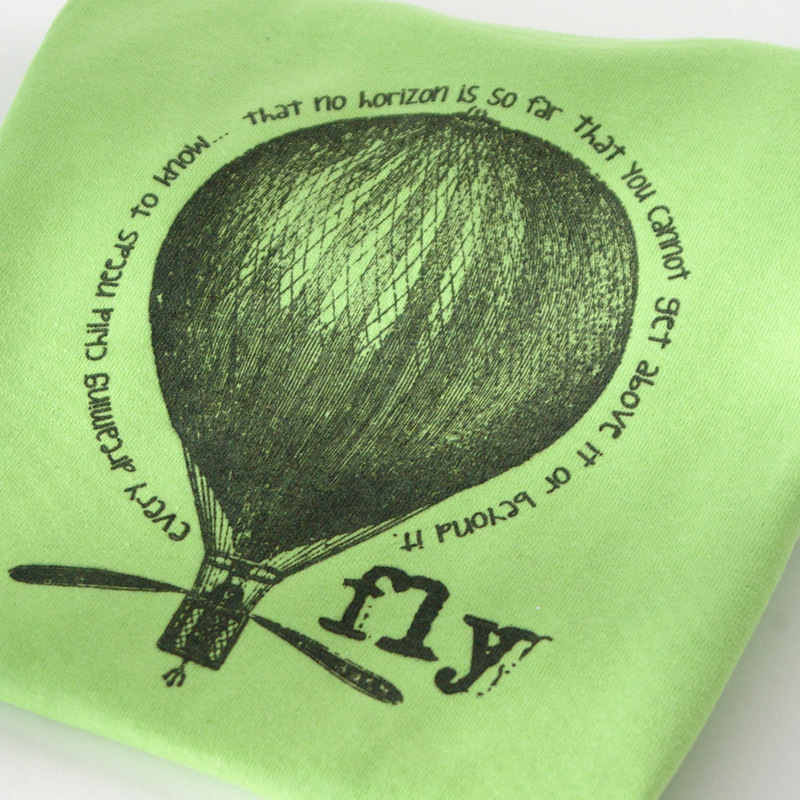 The playsilks of every size and colour go back in their basket, where they have lived, some of them, for four years. 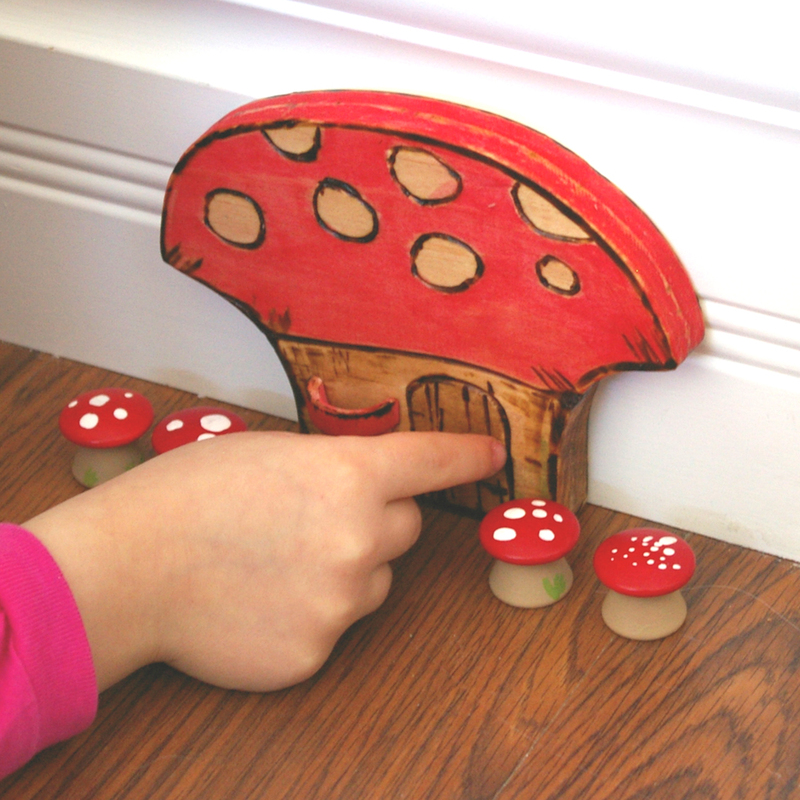 And from which they are drawn daily for imaginative play. Other toys pass in their season, but the natural and open ended ones are perennial. When artisans say 'heirloom quality' they really mean it! But more than this, these toys span a wide age range. An infant playing peekaboo is very different developmentally than a five year old walking a playsilk swinging bridge over a canyon on a unicorn ~ but both use their silkies for play, and in multi-age families, the same ones! The blocks an infant mouths and bangs are the same one the four year old stacks and counts. These toys last. And when they have finished their time, many will be suitable to pack away for the next generation, and those that are not will gently return to the earth. This is what I mean by value. 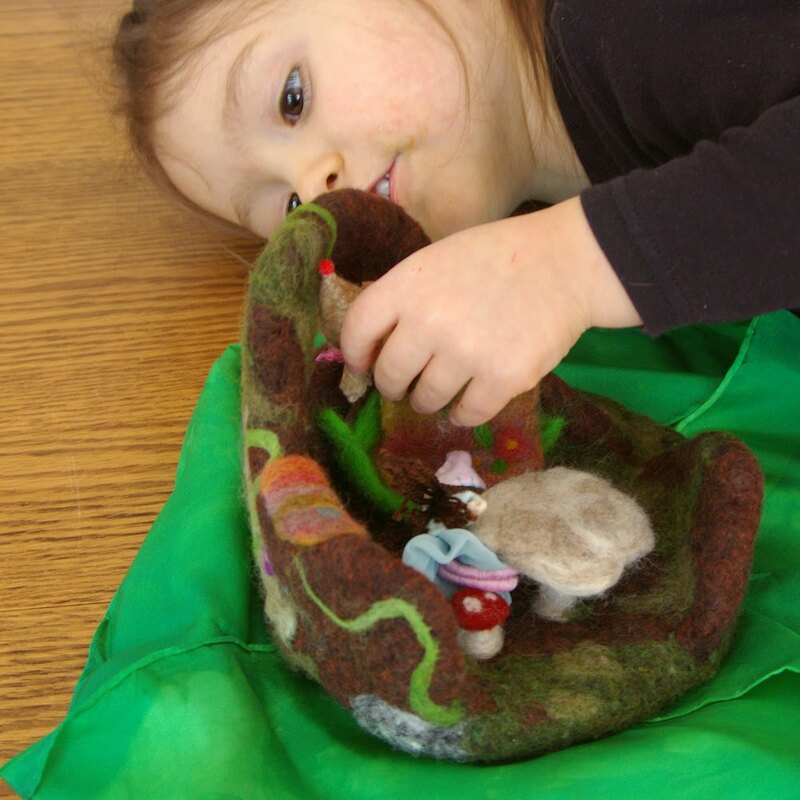 There is no doubt that quality toys are an investment (but play is a child's work and deserves great tools!). But they last throughout a child's childhood, meeting them at every age and stage with the invitation to dream and imagine and become... they are faithful playmates that are warm and soft, beautiful and natural. You know those experiences in life~ the ones where you just know that you are in a place just right? Or that you are in the presence of someone who has come down 'where they ought to be'? I had that experience last week. 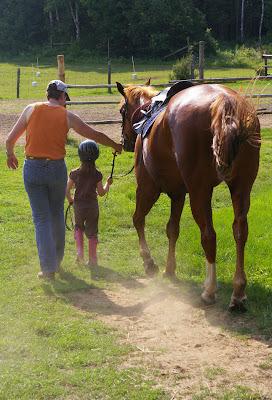 When my daughter had her first riding lesson. 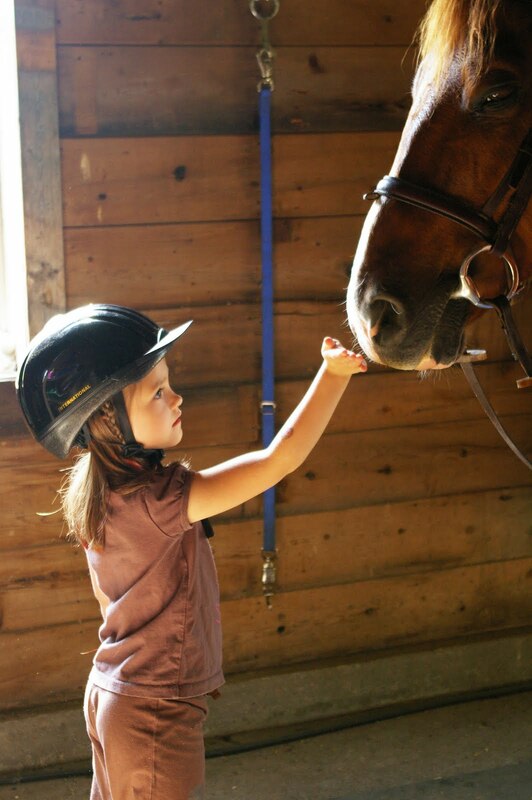 Rowan has always loved horses. Not with a passionate 'gotta touch them all' kind of love like she has for dogs~ the bolt across a busy street sort of compulsion. 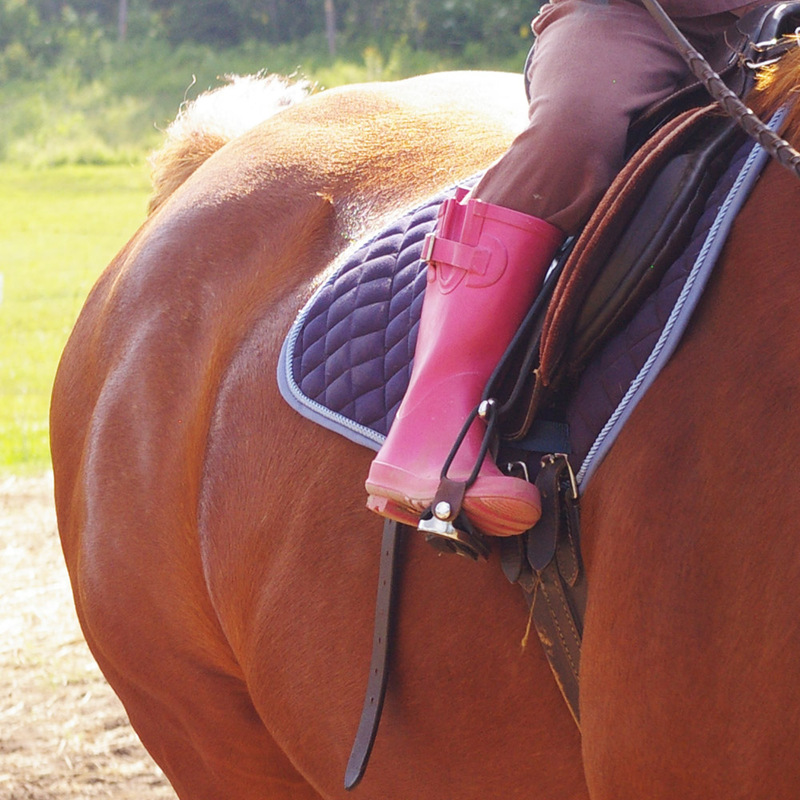 But with a deeper calmer reverence and a certainty that she would ride some day. More of a drawing than a yearning, perhaps. Jester, her beloved spring horse, has been a family fixture for 4 years now, and the inspiration and companion for many, many adventures. The soundtrack of Rowan's childhood, in my mind, will always include the whinging of those springs. But now she is 'big enough'. After considering our limited semi-local options, we consider it a gift to have connected with an experienced coach with a commitment to the horse/human bond first and foremost, followed by excellence in technique and a sense of fun. 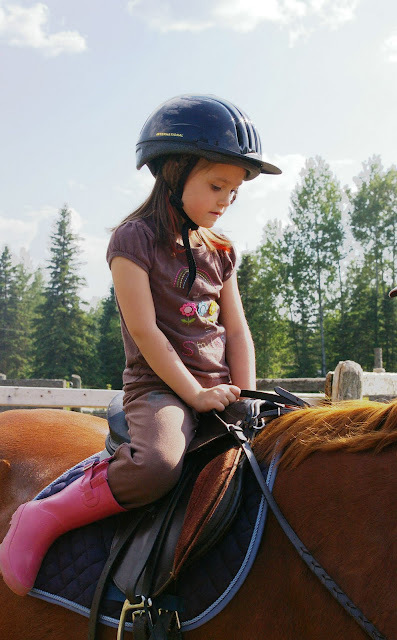 We were insistent that 'riding' mean more than just that, that it involve the full care and connection with the animal, as well as the riding skills. 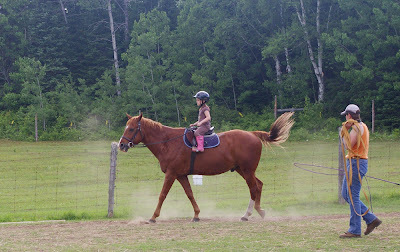 And of course, safety (having last ridden at age 16 when I was thrown and broke my back! this was not a small consideration for me.). Having visited the farm, and having good recommendations from both students and other local horsewomen and men, we had the first lesson. As I stood back and watched (with a very attention hungry horse nibbling at my hair and blowing his hot breath down my neck if I stopped petting him) my ~somewhat shy with a tendency to silliness in new situations~ almost 6 year old girl step forward to engage with the very tall Phoenix I was blown away. Like down to the soul, still. Attentive, eager, but careful and oh-so-respectful. Drinking in all of the information and reveling in the simple tasks of curry combing and hoof cleaning. In the place just right. In the valley of love and delight. If she hadn't ridden, I don't think she would have cared. To be welcomed into this animal's presence. To be in his space and to offer him care~ all 45 lbs. of her to his 1/2 ton~ filled her up. (to be fair this big boy is a lamb and knows it all anyway, but he never let on that she wasn't in charge)? 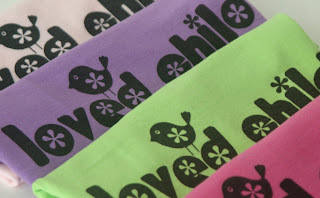 For child~ the reverent, knowing kind. For mother~ the face splitting grin kind. Standing by that dusty ring with the horseflies biting and the sun beating down, with the sweet smells of hay and dung in the air, a confident and kind teacher (coach and horse) and hearing my little one say with confidence 'Walk on, Phoenix!' surprising both coach and mother as she lead the big sorrel through the open gate and on to the barn all on her own.... awesome. I hope this for my daughter. The challenge of new skills, the art of balance and communication. 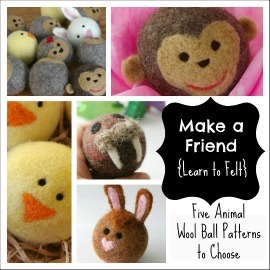 The delight in bonding with an animal and working in partnership. The discipline of doing something right and well. 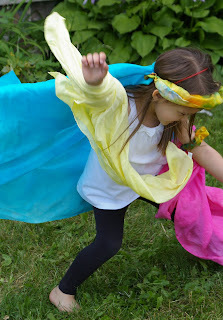 It could have been any passion pursued, and there will be others, and maybe this one will pass (she is only turning 6!)... I am just happy she has had that feeling of connecting to her passion, of being in the place just right and the confidence, esteem and joy this brings ~ so that she will know it when she meets it again in her life and will hold it dear and know its worth. And I am glad I was there to see it! To bow and to bend we shan't be ashamed. 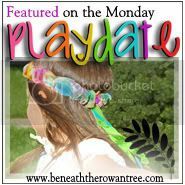 Beneath the Rowan Tree has a little sister... Daydream Believers. (And yes, you are supposed to be hearing Davy Jones' voice singing The Monkees version right now! and probably for the rest of the day...sorry about that!). 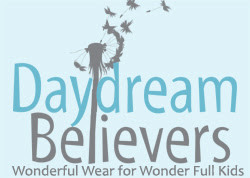 Daydream Believers is the line of shirts that we have developed to complement BTRT and our commitment to growing up wonder full kids. The main premise for DDB is positive labelling. Seeing our kids strengths as gifts (even as they challenge us as parents!) to be nurtured. And inviting others to see them that way as well. From time to time my daughter gets her 'name on the board' in her kindergarten class. (and for those who know me, yes, I know all about apples and trees and how close those apples fall). 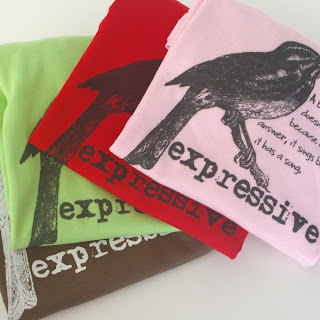 And while we do talk about being respectful of others and not interrupting, we also discuss how tough it is, as talkative types (my brain works best when my mouth is moving! ), to process things internally and about how it will be a lifelong learning process. But even with this awareness, even with this acceptance, it can be hard to take sometimes! One day I found myself channeling my mother as I said "Rowan, I need you to go to your room and close your door so I can't hear the talking (oh! the talking!!)". I was appalled (though I said it calmly and kindly) to be standing in my mother's shoes and to understand completely her frustrations with me as a child (although she denies it now, my mother did ground me once because I couldn't be quiet for ten minutes in a row). So I have a favourite design from Daydream Believers. Well, not favourite perhaps, but a fitting one for me and for my child (who outgrew her first shirt in this design and is now into her second one). "The bird doesn't sing because it has an answer.